In Episode 15 of The Bean Ninjas Podcast, Meryl Johnston, Co-founder of Bean Ninjas, is joined by Michael Wark. Before joining Bean Ninjas, Michael worked as an accountant in the Australian film industry. In this podcast he shares his story on becoming a remote worker. Many people sit at their desks dreaming of the freedom of remote work. They might imagine themselves logging in, poolside from an exotic location. For Michael, the dream has become a reality. 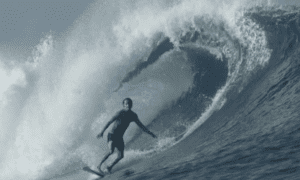 Michael joined Bean Ninjas full time in 2017 and is now working remotely from Canguu, Bali. Between servicing clients, Michael is catching waves and exploring Indonesia as well as meeting like-minded remote workers in the Dojo Bali. This sounds pretty perfect, but becoming a remote worker is a skill, one that has to be learnt and mastered. 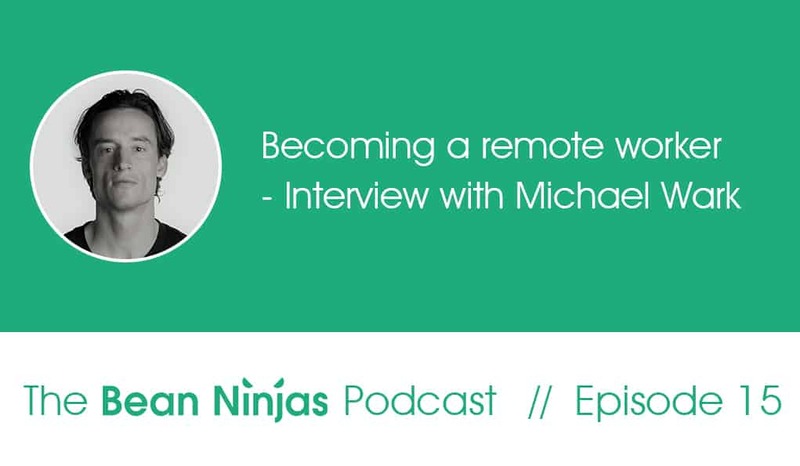 Michael tells us what it’s been like to transition from an office job to a 100% remote role and what he has learnt along the way. Want more great tips to grow your business? Listen weekly to learn more of Meryl’s tips for growing your business fast and smart.